Independent Birmingham is dedicated to unearthing Birmingham’s hidden gems and best-kept secrets, touring the city in search of the unique and the inspiring. In doing this, we aim to shed light on these wonderful establishments so as to inspire you to explore Birmingham’s lesser known aspects and rediscover your city. 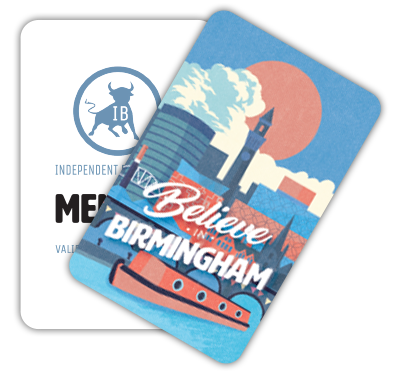 Join our revolution of local today and rediscover your city – Believe in Birmingham!